History will come alive in May when students visit the Appalachian Settlement. Children K-5 will learn how people lived during the 1840's. 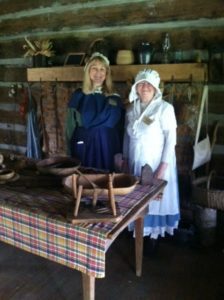 During this 2 hour program, they will visit an original log cabin and talk to pioneer ladies. 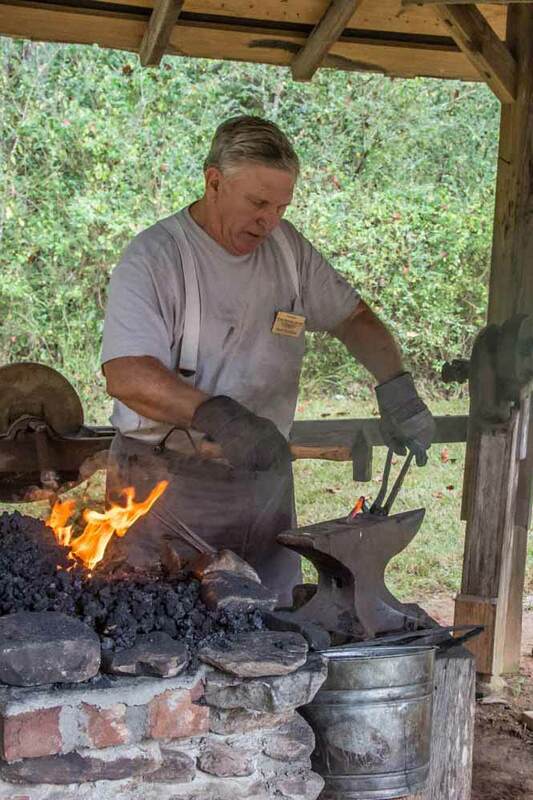 Students will also visit a blacksmith and watch him work in his shop. 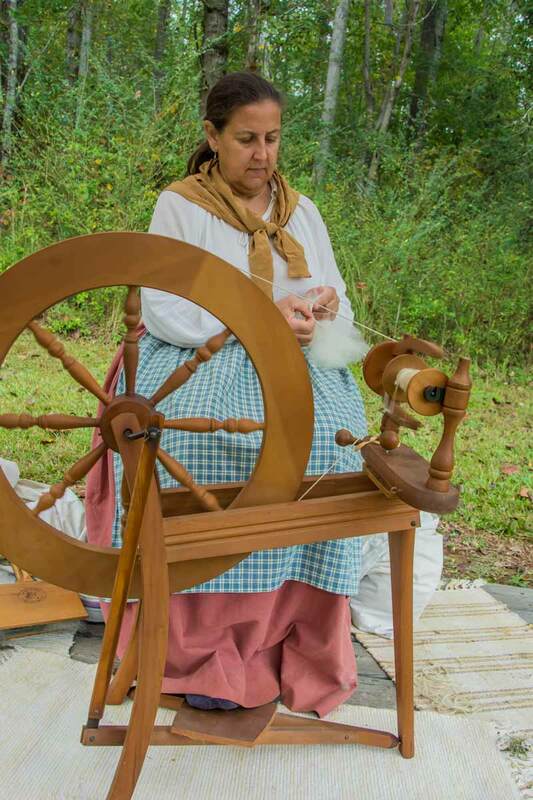 They will observe various craftsmen performing period crafts such as spinning and woodworking. 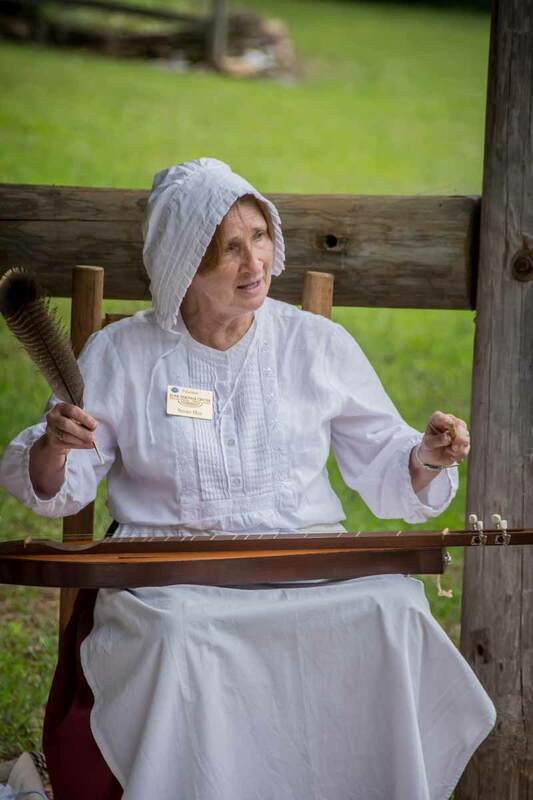 Young visitors will learn how the pioneers made syrup when they go to the sorghum syrup mill and an interactive pioneer music program is also included. Teachers should make reservations early as the program is limited to 200 students each day. A tour of the Bennett History Museum is not part of Pioneer Days. In the event of rain, teachers may reschedule for another day. To ensure the safety and enhance the enjoyment of your group, as well as the Funk Heritage Center facility and staff, please familiarize yourself and your students with the Funk Heritage Center Group Tour Safety and Behavior Guidelines prior to arriving for your tour. Last year, teachers and chaperones said they enjoyed the program as much as the children. Many plan to return in 2019! They indicated this field trip was a great way to end the school year.